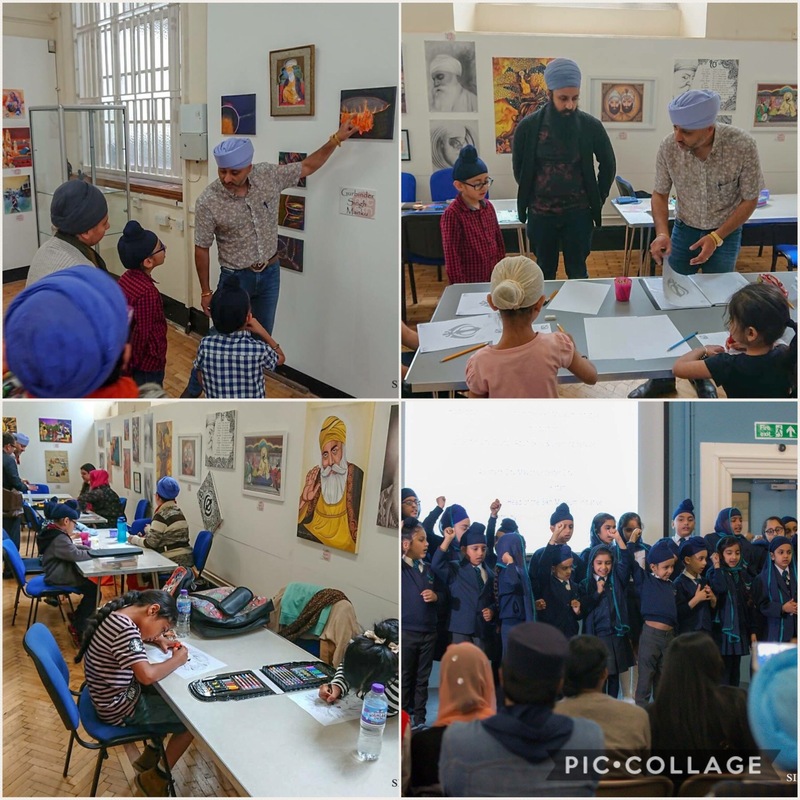 Following the success of the Anglo Sikh Wars exhibition, the Sikh Museum Initiative, in conjunction with Art Sikh, recently showcased their latest exhibition at the Leicester Adult Education College. The exhibition was open to the public from the 12th May to 31st July 2018 and had a strong focus on art. This exhibition was a first for Leicester and attracted 1000s of visitors. The plethora of artwork from all around the globe was on display for the public to see for 12 weeks. 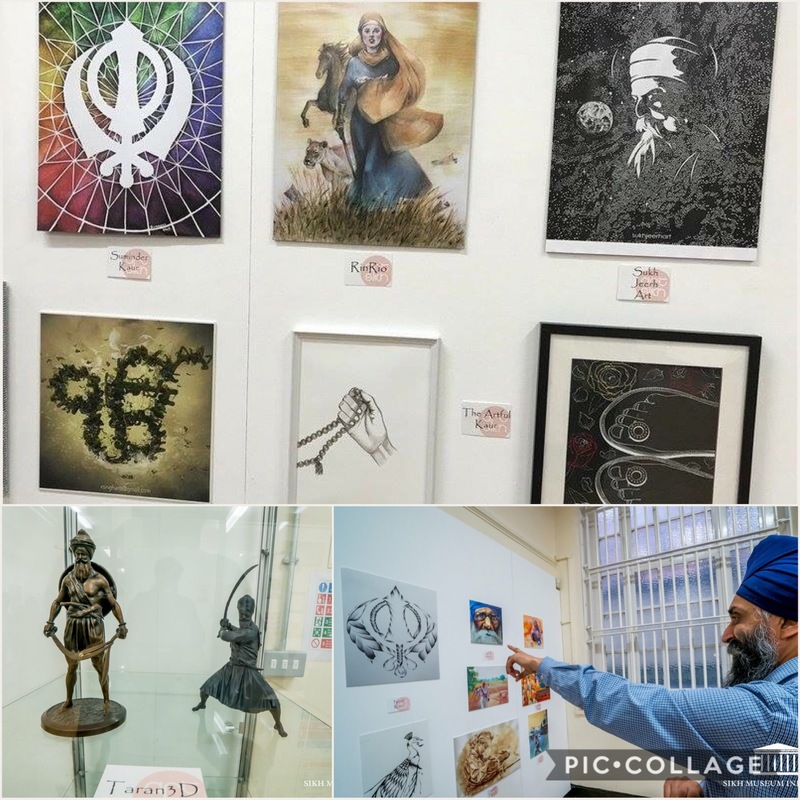 Included were works of art created by artists from all over the world – they really did convey Sikhi in an engaging manner, enabling viewers to visually see representations of key events and figures from Sikh history. 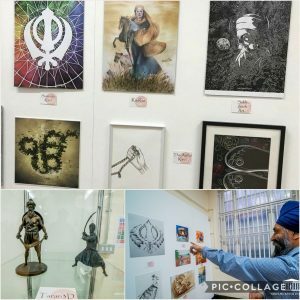 Breathtaking artwork by national and international artists by the likes of Raj ‘Pentacularist’, Harjinder Singh Sunner, Amrit Kaur, Rin Rio, Sum Art, Taran 3D and Amandeep Kaur (http://www.sikhmuseum.org.uk/amandeep-kaur-canvassing-sikh-art/) were included in the exhibition. 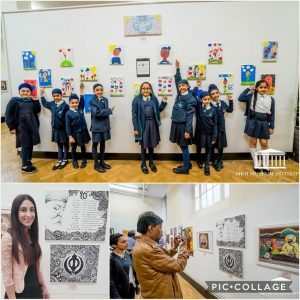 Not only did the exhibition include paintings, it also hosted arts and crafts sessions as well as educational lectures and talks about Sikh history. Paintings were also undertaken by the local Falcons Primary School, who also performed Kirtan at the launch of the event. On Wednesday 20th May, I attended a discussion about the Sikh Empire and Anglo Sikh Wars. It was extremely informative, interesting and intriguing to say the least. 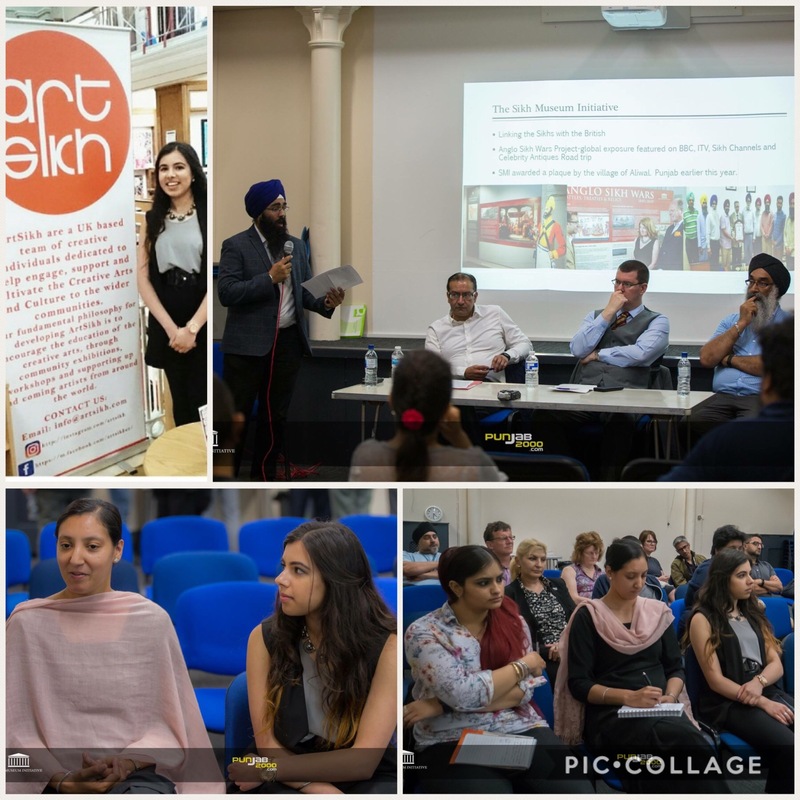 The panel, which consisted of Gurinder Singh Mann, Amarpal Singh Sidhu and Dr Christopher Brice, really did enable me to obtain a deeper insight into the historic events. Other lectures included Sikh Women in History: Sikh Empire to Suffragettes by Dr Priya Atwal and An Introduction to Sikhism by Kartar Singh. The success of the event was captured by a range of media coverage, such as national BBC Radio and international news outlets such as Tribune India. Punjab 2000 was the media partner and undertook video and photography of the events. 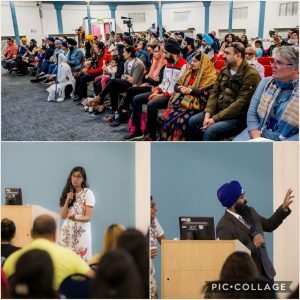 It was also a platform to launch the world’s first Sikh online museum and allowed visitors to see the virtual relics and artefacts on the touchscreen monitor. 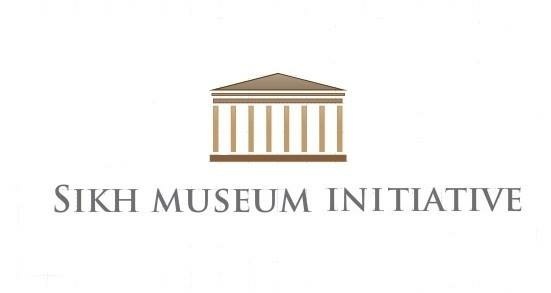 This revolutionary project is supported by the Heritage Lottery Fund. 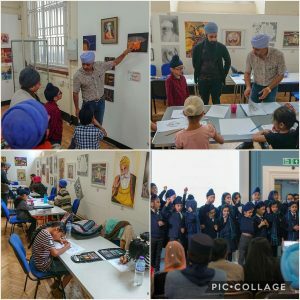 Make sure to follow the Sikh Museum Initiative to keep up to date with their latest news, events and exhibitions.